A dazzling 'One-Of-A-Kind' mermaid reflects a shimmering silver luminescence on her water bound kin. 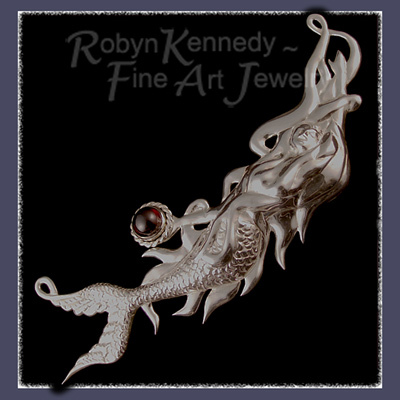 The Mermaid Pendant is Robyn's 'premiere foray' into the world of jewelry arts, and she was dubbed 'Taizy'. 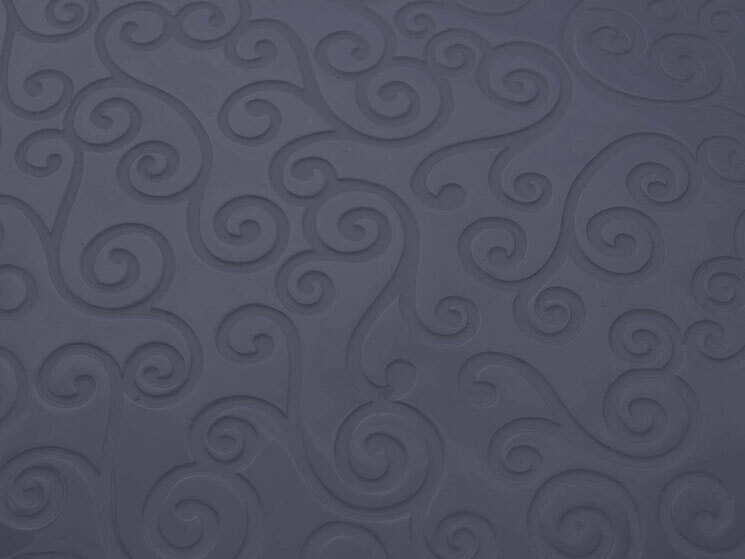 She has been lovingly created from a single sheet of sterling silver by using the 'ancient' process of repousse. The water nymph is holding a large, bezel set, cabochon Garnet. All of the jewelry showcased in the 'one-of-a-kind jewelry collection' are one-of-a-kind designs created by Robyn Kennedy. If there is a design style or concept that appeals to you and you would like to explore your own approach, please contact us at Rubyblue Jewellery to persue realizing your dreams in metal and gemstones.